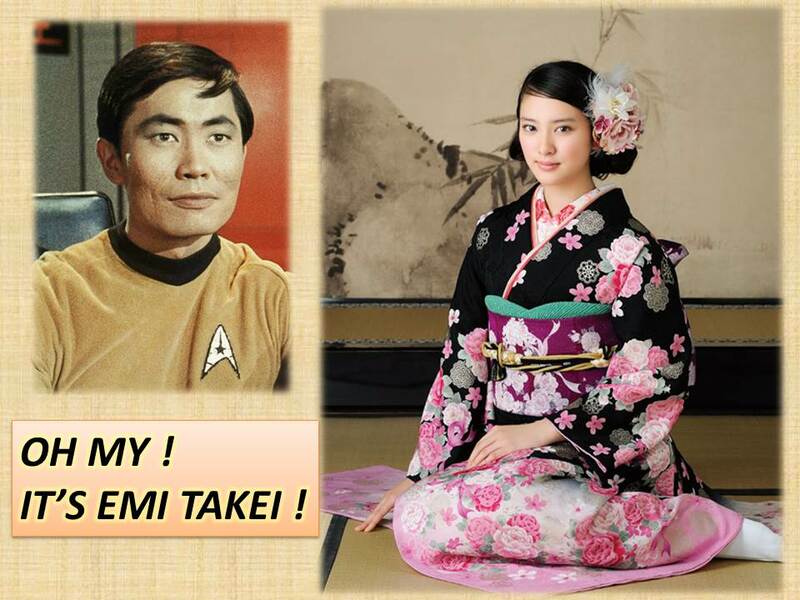 KIMONOS ON MONDAY (Week #12) OH MY … It’s Emi Takei ! Starlight: It took me over eight months to encounter these photos of the wonderful Emi Takei. 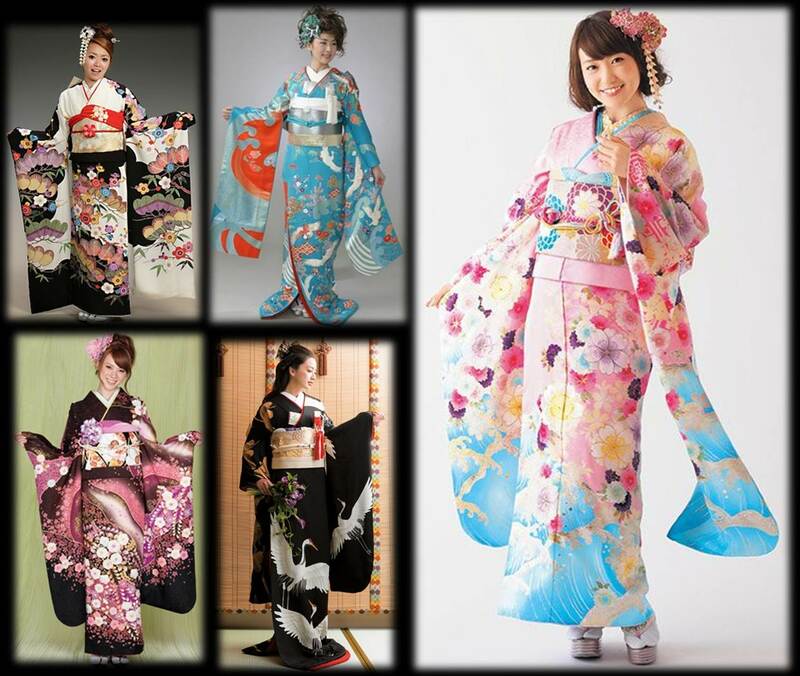 A furisode is a type of kimono, characterized by long, elaborate sleeves. 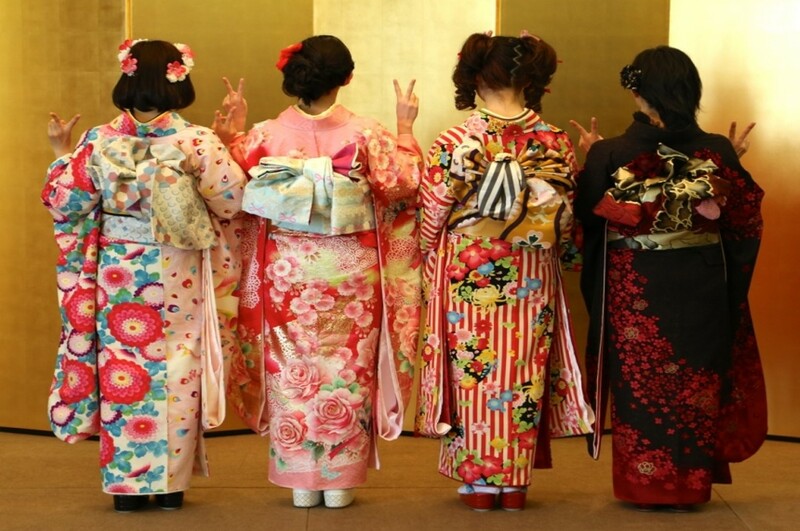 These special sleeves range in length from 85 centimeters for a “kofurisode” to 114 centimeters for an “ōfurisode”. One translation of furisode is “swinging sleeves”. A furisode is made of very fine, brightly colored silk, and is the most formal style of kimono worn by unmarried women. These are expensive silk kimonos, and are often rented for social occasions. 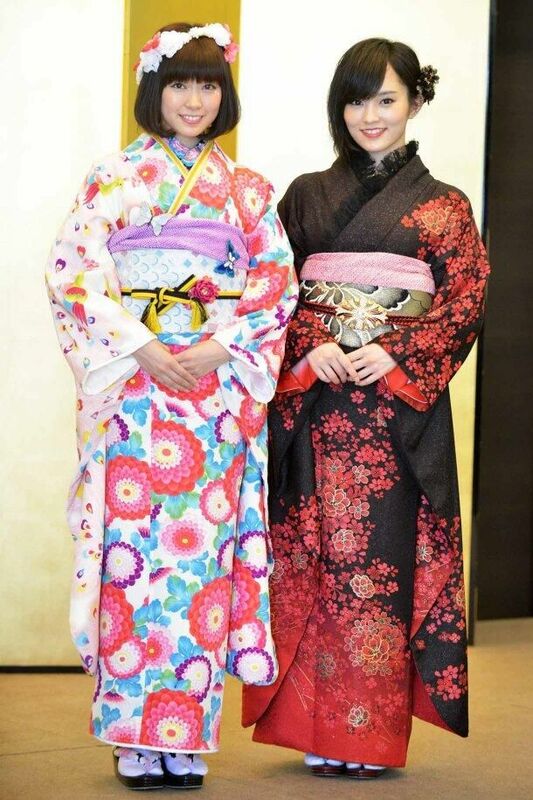 For example, a young woman wears a special furisode when celebrating Japan’s “Coming of age Day” the year they turn 20. A young woman signifies that she is both single and a legal adult, and thus (hypothetically) available for marriage. A similar type of kimono for married woman is called “tomesode” which has short sleeves with family crests. Click photos to view larger! Although Mayu, Haruka, Miyuki and Sayaka attended “Coming of Age Day”, they are not “available”. 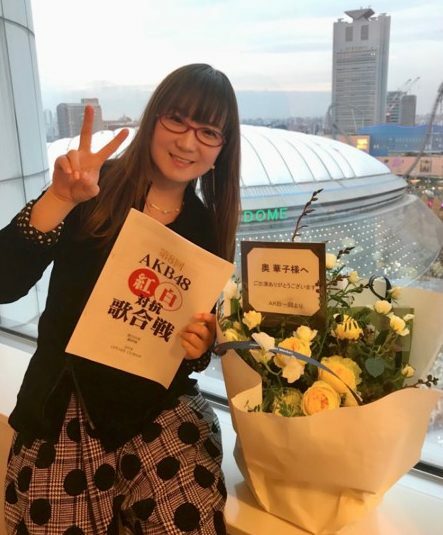 True, they are single, and unmarried, but due to the AKB “no dating” rule, they are not (quote) “available to be married”. 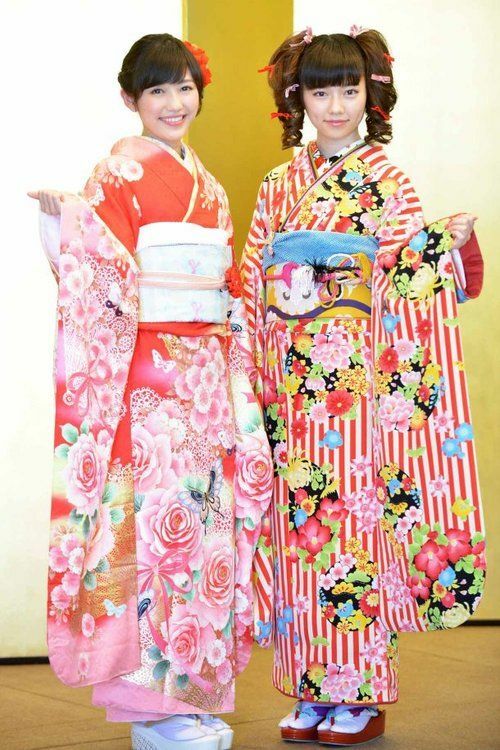 Miyuki Watanabe and Sayaka Yamamoto are beautiful in furisode!